Shadow of the Colossus is ranked in the 100th percentile of games scored on OpenCritic. Shadow of the Colossus lives up to the legacy of the original and provides a brand new presentation for fans to experience. Newcomers will get the best playing version of the title while veterans will get the version they always dreamed of. The game is smoother to play, the presentation is top notch and the minimalist storytelling from the original isn't embellished or altered. This is exactly what you'd want from a remake and I couldn't be happier with the final result. While this PS4 remake might not be the best way ever to experience Team Ico's timeless classic, it offers players old and new an experience that simply can't be replicated anywhere else. Shadow of the Colossus is a must-play game, one that anyone unfortunate enough to have missed this title back in its day needs to play immediately. Just make sure you look out for that endgame – it’s a doozy! I suspect one of the reasons many have hailed "Shadow of the Colossus" as a work of art is because it left them feeling pensive. Shadow of the Colossus is the gold standard of video game remakes for this generation, period. Bluepoint Games deserves all the credit for offering a remake worthy of the praise placed upon the original, and as such have given an entirely new audience license to experience one of video games most exceptional titles. Forget the cynical rhetoric around "cash grabs" and easy franchise milking with texture update "HD remasters." Instead, I hope this game becomes enshrined as a new sort of video game remake renaissance in which new and old audiences alike can experience classic titles as if they were brand new again. However you need to do it, make sure to get your hands on a copy of Shadow of the Colossus on PS4. Bluepoint's remaster of Shadow of the Colossus is a perfect example of how you should treat timeless classic without breaking anything. Shadow of the Colossus on PS4 is the definitive version, perfectly recreating gameplay with stunning new visuals. 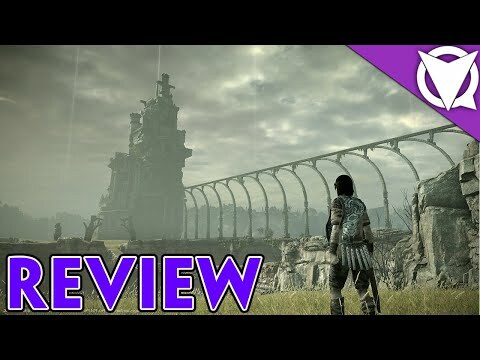 Shadow Of The Colossus is a rare solo cinematic experience that, when originally released, many praised and loved. Years later, it still holds up favorably against the test of time in a remake that gives it a fresh coat of paint. And what a sparkling, pristine coat it is, while not changing anything that made the game so highly touted back in the day. New features like photo mode and next-generation technology allowing for smoother frame rate only improve upon the formula that made the game an instant classic. Now, an entirely new generation is able to enjoy this masterpiece in what is a new benchmark for future remakes to achieve. More than a decade after its original release, and Fumito Ueda's masterpiece is still an absolute joy to play. Whether you've played it on older hardware, or you have yet to take the plunge, you owe it to yourself to play through Bluepoint's remake of one of the best games ever made. Still one of the finest games ever coded, and now fit to be seen on the very best TVs. This is how remasters should be done, bringing the original content up to modern standards, without diluting what made it great in the first place. Bluepoint has effectively improved on perfection. A classic has been reincarnated as one of the most visually magnificent titles of our current generation. Bluepoint deserves huge props for staying true to this masterpiece while also updating just enough to help make the game more accessible for a new generation. Bluepoint Games did the impossible: they took one of the greatest games of all time, rebuilt it from the ground up, made sure it didn't lose a bit of its impact. For that alone, this game is an achievement. It's only one of the best PlayStation 4 games of all time, it's also one of the greatest remakes of all time. It's not the game you remember: it's even better. The remake of Shadow of the Colossus lives up to its own legacy. Everything that made this experience powerful, emotionally resonant, and exciting is still here. Everything that was added only enhances and improves what was already in the foundation. What was already a masterpiece has been given a makeover in all the right places. If you loved the original game and want to experience it again, you will find a lot to love. If this is your first time hearing about this all-time great, now is the best time to try. There's nothing genuinely like Shadow of the Colossus out there, and hopefully this new, pretty version, as superficial as that prettiness is to what makes the game so important, encourages a new generation of players to try it for themselves. Now that I have finally played and enjoyed Shadow of the Colossus, it would be easy to say I regret not playing it all those years ago. I'm not sure that's true. This remaster is sublime and—as I can attest—no nostalgia is required to appreciate it. This is almost certainly the definitive version of the game and I’m thankful I finally got to play it. I highly recommend you do the same. Bluepoint Games has masterfully given new life to a masterpiece of the genre, making their Shadow of the Colossus feel in many ways like the definitive version. Porting and remaking the games of others isn't as trying as making something new, but doing so does come with significant pressure that Bluepoint have made their name dealing with. However, the studio's work wouldn't have been possible without the initial, groundbreaking efforts of Team Ico.Shadow of the Colossus is an adventure that's still every bit as breathtaking and astounding as it was over a decade ago. It's the perfect remake. It's Shadow of the Colossus exactly as I remember it, yet it's Shadow of the Colossus like it's never been before. Shadow of the Colossus is one of the most critically revered games of the PS2 era, and with this remake, Bluepoint Games have shown that it can stand head and shoulders above most games that are released today. A wonderful experience from start to finish, and a game that is considered to be a landmark in the medium, and with good reason. A phenomenal game that has not only stood the test of time, it has become an absolute must-play in anyone's PlayStation 4 library through a simply staggering amount of work from Bluepoint. A seminal game that should not be missed. As mentioned earlier, we honestly cannot wait to see what the future holds for the talented team over at Bluepoint Games. But at the same time, we can’t help but to wonder what may be next for Fumito Ueda and genDESIGN. The recent teases from Ueda himself certainly have our collective minds pondering the possibilities, but one thing is certain. Whatever it is, will be worth the wait. Few games can have such a simple premise and gameplay design, yet are flat out good enough, timeless enough, to be remastered — twice. So, whether you have played SOTC before or not, you can rest assured it's an all-time classic, and that for the PS4, Bluepoint has done a fantastic job with this remaster. Bluepoint’s terrific reimagining of Shadow of the Colossus is one for the history books. Not only is it the best video game remake ever made, it has also set the bar incredibly high for future remakes. Shadow of the Colossus has been my most favorite revisiting of a game in a long time. In a sea of quickly packaged remasters that only slightly improve, this one is a shining beacon of how to refresh the game right as every aspect that could be improved - was. All the while, the game didn't lose what made it special in the first place and became an even more essential part of the PlayStation library. The remake of Shadow of the Colossus proves that it has always been a masterpiece, even 13 years ago. Blueprint Games studio has made one of the best remakes in recent years which can be a privileged benchmark for hundreds of good old games. It doesn’t matter whether its player is an old fan or a modern gamer which has not experienced it before; Shadow of the Colossus Remake can be a great opportunity for experiencing this splendid title. 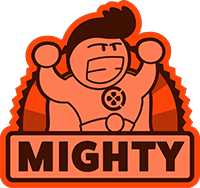 Moreover, graphics and visuals has impressively improved so that some of its technical issues can easily be ignored. Shadow of the Colossus Remake is one of a kind and absolutely worth playing. The real ultimate edition of one of the most importante games of all time. Shadow of the Colossus for the PS4 is a must have to everyone. Shadow of the Colossus is a veritable masterpiece from top to bottom and will surely be remembered as one of the greatest games ever made. The PS4 version is that, but with 4K HDR and a glorious photo mode. What else is there to say? Shadow of the Colossus on PS4 may be a remake, but it’s easily one of the best remakes ever released. Shadow of the Colossus is one of the best games ever made and it deserves to be experienced in the incredible form Bluepoint Games has delivered. This is a must play for all PlayStation 4 owners. As a newcomer to Shadow of the Colossus, I probably take these improved graphics for granted. But a story is something that doesn't rely on pixel count - and Shadow of the Colossus has one of the best I've experienced in a game. Bluepoint remake of the astonighing Shadow of the Colossus in more than a simple graphic upgrade. It's the real embodiment of Ueda's vision, the best version of one of the most important and beautiful games of the medium. It is a must have for new and old players. Whether you have played the original version of the Shadow of the Colossus or not, the PS4 version is a must have experience. so never doubt paying 40$ for this beautifully crafted experience. Shadow of the Colossus is a brilliant remake and is by far one of the best looking games to date. This is a classic that should be experienced by everyone. The remake of Shadow of the Colossus is, hands down, a love letter to the timeless masterpiece of Fumito Ueda. It's not just some polish on our memories, it's a genuine and passionate tribute, made with serious commitment, dedication and respect, and the result is even better than the original. One of the best games of the golden age - now remade with current technology. Shadow of the Colossus looks and runs wonderful. It is a perfect moment to catch up, if you haven't already. Shadow of the Colossus on PlayStation 4 looks amazing and the modern control scheme makes it more playable than ever. [6:02 PM, 1/30/2018] Somo: If you previously missed out on Shadow of the Colossus, then you certainly are one of the lucky ones as the remake vastly improves this classic adventure and its mesmerizing visuals definitely makes it one the most beautiful games of 2018. Despite being over a decade old, Shadow of the Colossus remains one of the best games of all time. Thanks to Bluepoint Games, the game has received a total make over, making this classic feel like a modern one. With improved frame rates and exemplary visuals, this is one of the games PS4 owner must have. On paper at least, Shadow of the Colossus' premise is one of standard fantasy lore. The story of slaying beasts to save a loved one isn't unique, but what sets this experience apart from other fantasy tales I've experienced is the forever growing sadness that overcame me as I cut down each creature. It's great to be able to play a PS2 classic again like Shadow of the Colossus. The graphic remasterización can be more or less questionable but without a doubt it manages to give a new flavor to a title that deserves all the awards that did not obtain in his day. With production value equal to any first party AAA game, Shadow of the Colossus is a technical masterpiece. This is the new benchmark for what a remaster should look like, standing as the best remaster ever released on any platform. Put simply -- this is how it's done. Shadow of the Colossus is one of the best games of all time and it has now received a truly worthy remake on PS4. 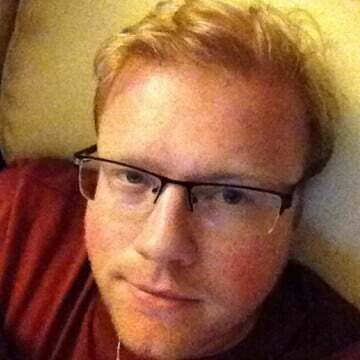 There aren't any major shifts in the gameplay or content additions, but the game needed neither. Instead Bluepoint has taken the original classic, upgraded the visuals, and only touched what needed to be touched. Fans will want to have this on day one, and if you've never experienced the magic of Shadow of the Colossus before, this is the way to do it. From a visual standpoint, Shadow of the Colossus on the PS4 is possibly the greatest remake of all time. Shadow of the Colossus was a unique game back in 2006, and it still is. Bluepoint has done a remarkable job with the graphics, and added some really nice extra features on top of that. Easily the best remake in years. BluePoint have done an incredible job of bringing Shadow Of The Colossus to the PS4, making it accessible to a whole generation of people that didn’t get to experience the original. It runs better, performance wise here than it ever has and it’s attention to fine detail makes it one of the best looking PS4 titles to date. This is the Shadow of the Colossus that you thought you played over a decade ago, unfolding before your eyes. Every second as sad, as spectacular, and as exceptionally unique as it ever was. And worthy, indeed, of creating more memories with. When remaking a game, there are two general routes that developers can take. Shadow of the Colossus is a true industry achievement, which not only demonstrates the technical capabilities of video games, but also promotes them as a new kind of art - on a par with movies, music and painting. 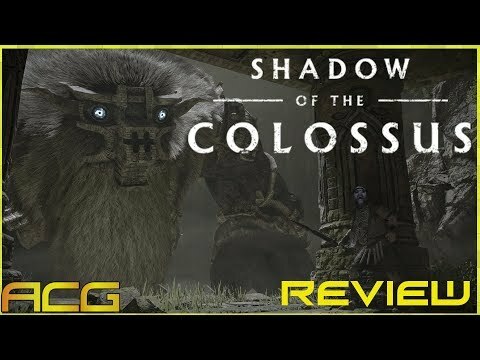 Even after many years Shadow of the Colossus remains a relevant game with a touching story, unusual gameplay, beautiful graphics and amazing music. This project is a must buy for any PS4 owner. Moreover, this time we have a real remake instead of a simple and very lazy port. f you have never played Shadow of the Colossus when it originally launched way back in 2005 on PS2 or when it’s PS3 HD remaster arrived in 2011, then you still have another chance to play it, this time on the PS4 from 6 February. With the power of the PS4, it makes the best use of HDR, it’s simply stunning and beautiful cinematic scenes makes this a must-have game of 2018. I waited 13 long years to finally play Shadow of the Colossus. All I can say is, boy, was it worth the wait. It's undoubtedly a timeless classic that resonates even today. This is easily one of the finest remakes by Bluepoint Games. The improved visuals elevate the experience to a whole another level that is unmatched by even some of the more recent open world games. A simple yet stunning adventure with a haunting world and a soundtrack that rises and falls perfectly in tune with the action, Shadow of the Colossus is an ageless game which can now be enjoyed by a whole new generation. Shadow of the Colossus is a timeless game that is timeless art, one worthy of not only of this great remaster, but of all the accolades it rightfully deserved in 2005. The concept of Shadow of the Colossus is unique and full of charm, even when you play this game today. The remastered version on PS4 is remarkable, which means it is the perfect choice for anyone who wants to try it, no matter you are an old fan or a new player. However, Fumito Ueda's works are always a little bit cult, so it is also understandable that you might not into this game. Even if this PS4 version is all about new (and clearley stunning) graphics and doesn't fix some issues with camera and controls, it is a fantastic way to discover or taste once again one of the most extraordinary, emotional and impressive games of all times. Shadow of the Colossus deserves this second life, as it really well executed thanks to Blue Point's work. What Bluepoint has done here is sublime, and if you haven't played Shadow of the Colossus before then I almost envy you because you're in for a game of the generation-level treat. A wonderful retread into this world for fans of old, an epic new adventure for uninitiated. The legacy of Shadow of the Colossus has never been in question, but this PS4 edition has just further solidified its place amongst gaming's masterpieces. This version of Shadow of the Colossus is still one of the medium’s most singular experiences revamped and revitalized for 2018. Whether or not it will go down as the definitive way to experience the game remains to be seen, but it is still a wholly unique must-play for anyone interested in what games can be. Shadow of the Colossus has proven to be a timeless classic and one which deserves to be played by nostalgic fans and first-time players alike. Although the concept appears to be repetitive, the story is powered forward by the player's desire to slay the sixteen colossi and bring back Wander's sleeping love. The final moral twist and the emotional conclusion to the end of the game is powerful, and memorable and it helps elevate Shadow of the Colossus to the highest standard of storytelling. An (almost) perfect remake of a classic that, thanks to modern graphics and presentation, can even surprise long-term fans. While it's true that Shadow was starting to show its age in 2011 and is continuing to do so in 2018 — even rebuilt from scratch — those who've played the title before will revel in the new life that Sony's breathed into the classic. For those unfamiliar with the game, it'll be a harder sell — but that said, stick with it. Every bit the genre-defining, captivating adventure that it was 13 years ago, Shadow of the Colossus reminds you yet again just how masterful design and keenly focused art direction never age. But it's Bluepoint's respect of these elements and the smart decisions to tweak and improve them that make this the most definitive version of the Team Ico classic you're likely to ever get. A timeless masterpiece that shines once again thanks to the extra power offered by PS4, especially when it comes to the PS4 Pro version, which is capable of managing a stunning 4K resolution along with HDR support and the new Photo Mode. Not only one of the best looking remasters, but best looking games period. Shadow of the Colossus remains faithful to the 2005 release, down to its problems. It masterfully utilizes the new hardware to amplify its immersion, yet remembers to maintain the importance of the original ideas and message. Even with its flaws, it's a game that everyone should experience. Shadow of the Colossus is still a great game despite its game design becoming repetitive and the fact that some of its mechanics can be quite irksome. There still isn't a game out there that can match its dreary atmosphere, simple but effective storytelling, and outstanding boss fights. 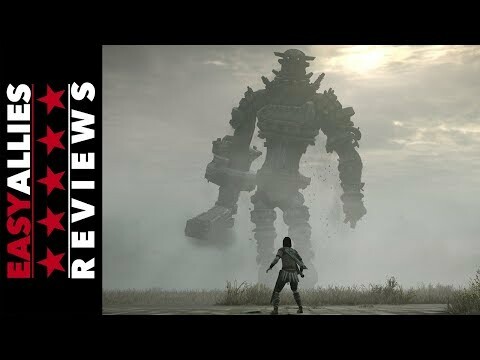 Overall, I found the new Shadow of the Colossus a pleasant journey peppered with some frustrating moments, especially when battling the colossi. If you can get passed that, Shadow of the Colossus can offer some epic moments and a beautiful world to explore. I'm not here to rag on what it meant as a game back in 2005, but I am here suggesting that a visual overhaul of this nature -- in that it is glorious -- could have also come packaged with camera and gameplay fixes, at the very least. You'll need patience and determination above all else, but if you're an eye-candy sort of person, Shadow has it in spades. I just wish it also had a little something more as well. The Shadow of the Colossus remake shows what the game would have looked like with the power of modern consoles, but it sticks with the stylistic emptiness of the original. There is something special here, even if you might not explore it with the same reverence as those with nostalgia about it. Fans new and old will find plenty to get excited about in this remaster. There is a lot to like here, from its jaw-dropping visuals and audio, to its minimalist unique and engaging story, to even its various modes and New Game+ option. I have always said Shadow of the Colossus is a must-play game, and I can now continue to say that without having to convince someone to buy a PlayStation 2 to play it. Shadow of the Colossus for PlayStation 4 isn't just any remake, it is the glorious return of a beloved classic that left its mark on video game history for decades - and its light still shines bright today, as Bluepoint Games revived the PS2 masterpiece with excellent new graphics and technology, while core and content remain unchanged. Traditionally, it's only the controls and camera which drag it down just a little bit. Shadow of the Colossus is a game every player should experience but its camera and control systems coupled with a couple of game breaking bugs prevent me from giving it a perfect score.